We have launched a new way of Online Health Shopping. Shop by Brands option on our platform, bringing the Customer and Brands even closer. Even though the concept of shopping by brand exists among other E-Commerce players, this move is first of its kind in the Healthcare & Wellness sector. The online shoppers can now easily navigate through the Brands tab on the website and pick up products from a particular brand of their choice. A lot of online shopping providers have been innovating in this space to provide better customer interface and this is believed to be one of those. 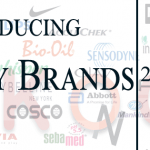 We have brought together all the products we offer on our platform under one roof and categorized them based on the stable of brands they come from. A lot of brand conscious buyers on the website will be happy with this move. We have been trying our best for months to provide the best Interactive experience and the same has been responded well by the shoppers. We are confident that this move in the Healthcare & Wellness E-Commerce Sector will enhance customers shopping experience and spoil them for choice. 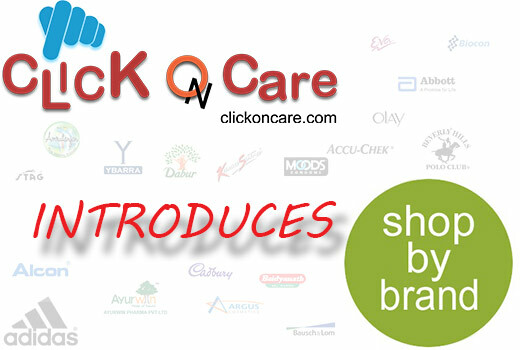 Customers can avail this feature by Clicking on the Shop by Brand Tab Present on Clickoncare.com homepage Menu.